Here’s a look at what’s coming out from various comic companies for July. If wondering, I’ve decided to fold the Archie comic solicitations into the “miscellaneous” entry. My reading of Archie’s slacked off with several titles cancelled, etc., resulting in the Archie entry having fewer listings than many of the publishers above, such as IDW. Anyway, “Archie vs. Predator” finally wraps up this month. From the sound of things, it’s up to Betty and Veronica to (somehow) fight off the Predator? “Walt Disney’s Comics & Stories” features the first of a 12-part storyline (reprinted from an Italian release?) 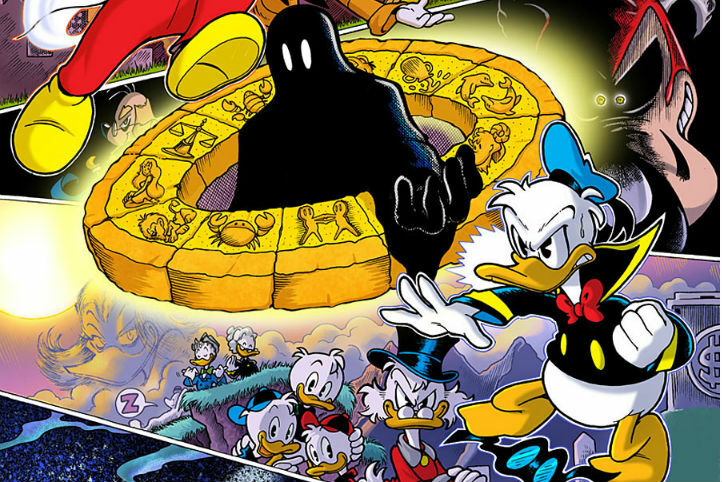 involving the various Disney comic characters crossing over/tangling with the Phantom Blot.